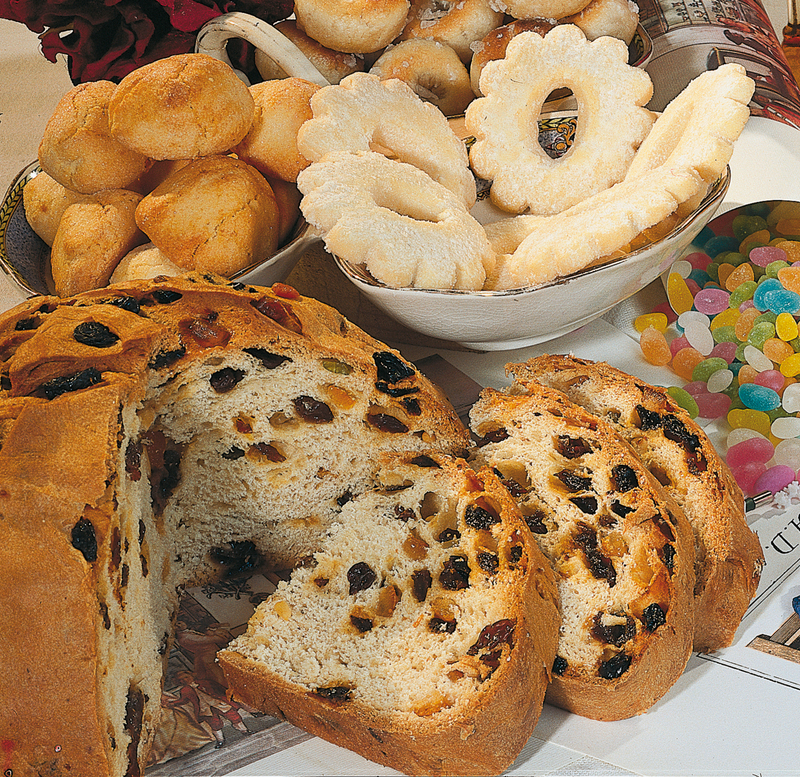 If you didn’t have the time or chance to buy a real pandolce Genovese, you can try making it at home… however, you need to come well equipped with plenty of courage, patience and an alarm clock! Make a well in the 300g of flour and add the yeast dissolved in warm water; knead carefully until you get a firm and stretchy dough (add more water if needed). Leave the dough to rise overnight in a mixing bowl covered with a cloth in a warm place. The next day put the sultanas and raisins to soak in warm water and cut the citrus fruits into small pieces. Create a well in the 500 g of flour and add the melted butter, orange blossom water, sugar and salt. Start to work the mixture, then add the dough you made the day before. Carefully knead the whole mixture ensuring that it has an even consistency and is soft, adding water if necessary. Now add the raisins, sultanas, citrus fruit, pine kernels and fennel seeds and knead hard for at least 15 minutes. Divide the dough into two equal parts and lace them on two baking trays, shaping them into a dome shape and drawing a triangle at the top. Tie a clean cloth around the base so the dough doesn’t lose its shape whilst rising. Cover with a cloth and keep in a warm place for another 12 hours. After this second rising period, put the dough in the oven at 180°C for about an hour or until it turns a golden brown colour.